When it comes to proposing, it’s no secret that choosing the right place is important. Crafting the perfect romantic place and expressing how much you care about someone may be difficult, but it can also be incredibly rewarding. I guess popular Police Ambassador, Bosinde Araikpe found his romantic place when he chose the headquarters of the Special Anti Robbery Squad (SARS). I guess with the #Endsars campaign trending in social media, we can say the men of the Special Anti Robbery Squad (SARS) also celebrate with the public despite rumors of brutality. 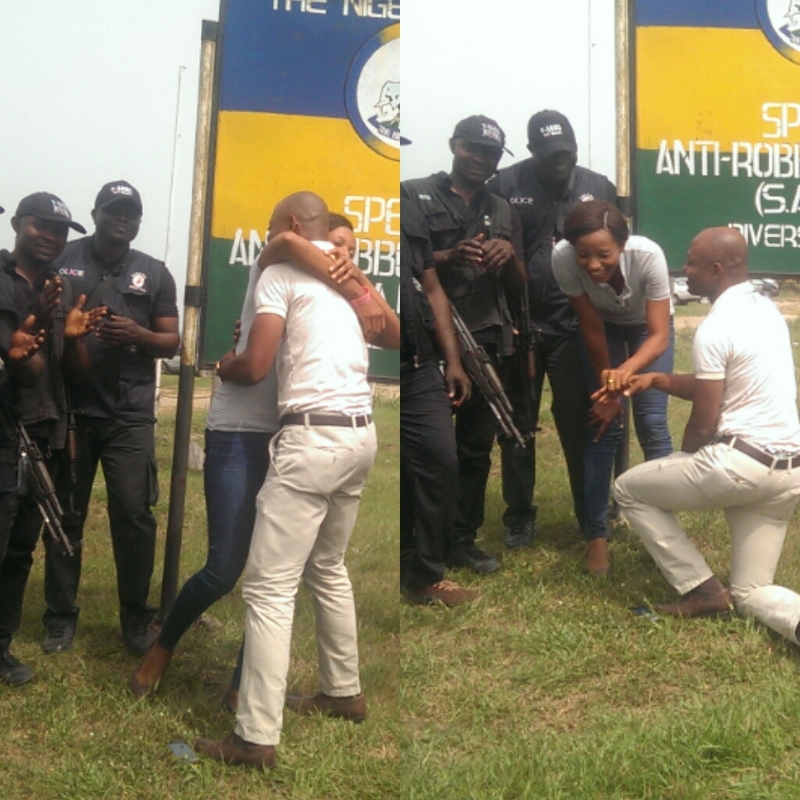 The Police Ambassador who proposed to the love of his life Deborah Sunday former Miss RivPoly now Kenpoly.